1. I wish I had enough money to pay off my bills and know that my family is taken care of. 2. If you had to enter a competition for the "Most Uselessly Unique Talent," what would your talent be? Recalling old commercial songs and music in general. Most people can remember movie trivia, I remember music. 3. When it might hurt their feelings, how do you feel about telling your friends the truth? It depends, if it is something that would benefit them to know then I would gently let them know. If it was something trivial, I would possibly keep it to myself. 6. Who was your favorite teacher and why? My dad because he was a really good teacher, but I love him too. Besides my dad would be some college professors. 8. What is your least favorite of your personality traits or quirks? I can be shy when I first meet someone and it makes me seem awkward. I am also not good at small talk. 9. I wish I could see my family that has passed away because I miss them. 10. Tell us your favorite children's story. Goodnight Moon...because I read it to my son so much as a little child. It just has good memories attached to it. I like to read The Crayon Box That Talked at the preschool. 11. Explain how to play your favorite game. The kids at the preschool love to play "Who Took The Cookie from the Cookie Jar"? It is a fun game to play with them. I am not writing out how to play though. I like to play Trivial Pursuit with adults. 12. What do you keep in the trunk of your car? spare tire and some cleaning supplies for my car. 13. Tell us about your favorite way to get lost in a simple activity — running, chopping vegetables, folding laundry, whatever. What’s it like when you’re in "the zone"? I like to listen to music to take my mind off of tasks like that. 14. What’s your dream tourist destination — either a place you’ve been and loved, or a place you’d love to visit? What about it speaks to you? I would love to visit Europe...because of the history and architecture. 15. What parts of nature do you like best? EVERYTHING...except mosquitoes and snakes and mice. The Sun is pretty amazing and flowers and trees. 16. What kind of program do you enjoy most on TV--detective shows, comedies, game shows--and why? I enjoy detective shows, medical shows, historical shows. 17. Do you know any professional athletes? Rod Smith from the Denver Broncos...I went to college with him. He was a business major. We went to a small college...Missouri Southern State College and he was not drafted. 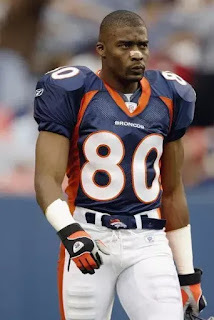 The Dallas Cowboys took a chance and put him on their practice squad and I cannot remember the story now, but he ended up on the Denver Broncos with a Superbowl ring. So happy for him! 18. What will the next must-have technological innovation be? Jetpacks? Hoverboards? Wind-powered calculators? I do not know, I will let that be a surprise and I will love it. 20. What if you woke up tomorrow with the ability to understand animals. What do you think you’d hear from them? My dogs mostly tell me they are hungry or thirsty. They want to be played with or scratched. They want a treat. If I could really understand I think they would possible tell me if they were hurting or needed help. 21.What is something that makes you melancholy? When the sun doesn't come out for days/weeks or when my son sleeps the day away. We have alot of similar answers... I think we would be great friends in real life! Oh, have you heard of the new show Gone on WGN? Its on Wednesday's at 9..it just started, I liked the first episode. Have a great Sunday!!! I feel like I am socially awkward, too, but people who have known me for years would say I'm outgoing. Margaret Wise Brown who wrote Goodnight, Moon, graduated from my alma mater, Hollins College (now Hollins University). She is one of our revered alumna. Another set of fun questions from Bev and I enjoyed your answers! We answered the same (or close) on several!! Wishing you a good week ahead, Lori!! I think its a rare person who doesn't feel a bit awkward meeting people sometimes. For me, it depends on the people. I enjoyed your answers and praying for your son. really enjoyed your answers today!! A Super Bowl Champion! That's awesome. Music is such a positive thing to have rattling around in your brain. After all, songs make us smile. #2 … yessssss! My husband is greatly amused whenever I break into random commercial jingles (we are Farmers!). Great answers, Lori! Have a great week! Good answers. I can imagine dogs asking for all kinds of attention and guilt tripping people who leave for work. Oh yeah? Triple dog dare you to a commercial sing-off. ♫ ♪ Positively, my dear Herman? Victory has never been sweeter. Well, maybe at the pie eating contest or that spelling bee in fifth grade, but otherwise victory has never been sweeter.